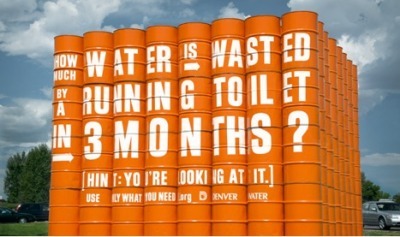 That is what Blood:Water Mission is asking you to do this year. From March 1 until April 9 the organization is asking that you give up all forms of liquid except for water as part of their 40 Days of Water Campaign. You might also notice that their dates don’t actually coincide with the 46 days of Lent which begins on Ash Wednesday (Feb 25) and goes until April 11. We challenge you to make Water your ONLY beverage for 40 DAYS starting MARCH 1 and ending APRIL 9 in conjunction with the Lenten Season and World Water Day (Mar. 22). Gather your friends and join in solidarity with our African brothers and sisters in an effort to provide clean water for communities in need. As you do so, we ask that you keep track of what money you would have typically spent on other drinks throughout the day and save that money. At the end of 40 days donate what you saved to Blood:Water. Imagine, if you saved $5 a day just by cutting out a visit to your local bar or barista, then you’d save $200 in 40 days. That’s enough to provide clean water for 200 people for an entire year! Adventures and Thoughts of Team Cross is powered by	WordPress 4.3.19 and delivered to you in 0.290 seconds using 39 queries.